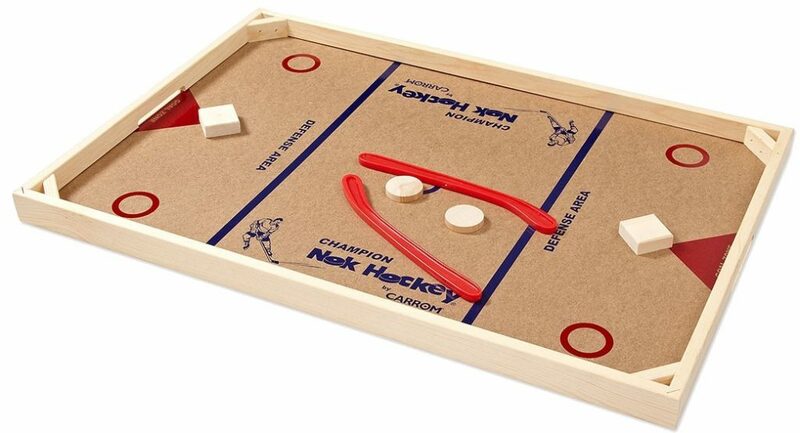 Nok Hockey Classic Table Game | Sports Etc. Old school game of skill. No skates required. You might want a helmet though. This game can get pretty heated! The two-player, solid wood frame can handle your best slap-shot…and all the bragging rights that go along with it. This turn based game is a staff favorite and will get your competitive juices flowing as you vie for Nok Hockey champion status!